After graduating with the highest grades in Management of International Firms at Luigi Bocconi University, she completed a PhD in Business Administration at the University of Torino. 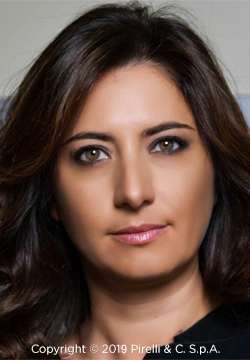 She started her career at Procter&Gamble, where since 1997 she held positions of increasing responsibility working on mature and emerging markets until she was appointed in 2012 as Cosmetics International Operations Division leader, with the responsibility of supervising the brands in her portfolio in over 70 countries throughout the world. From 2014 to 2017, she was Chief Executive Officer of L’Oréal Italia S.p.A. and she lead the return to growth of the company in a challenging economic environment. Since July 2017 she is Chief Executive Officer of Kiko S.p.A.
Ms. Scocchia is a member of the Board of Directors of Luxottica S.p.A and EssilorLuxottica S.A..